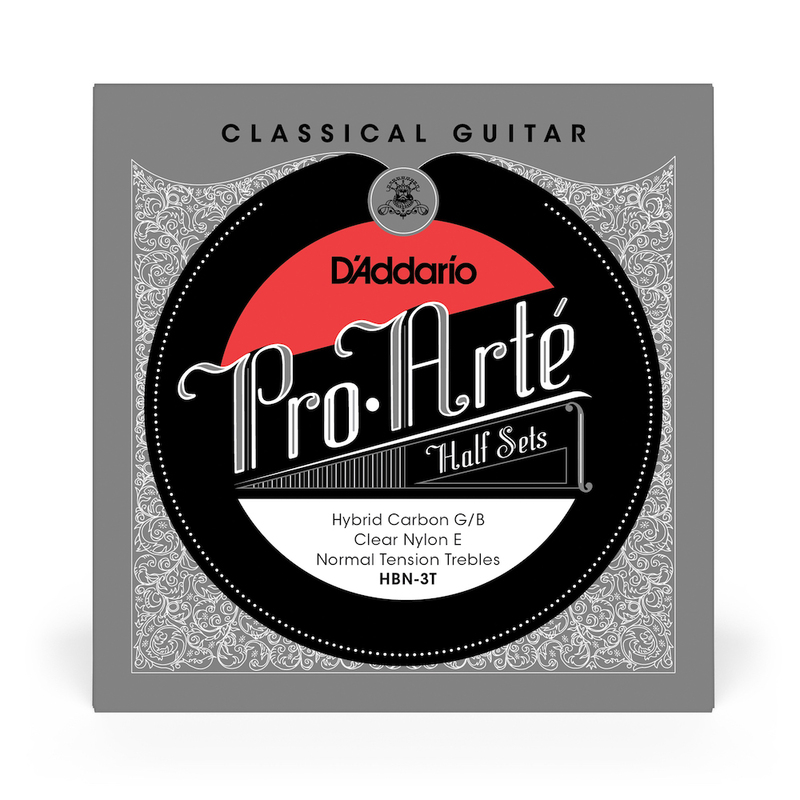 D'Addario Hybrid Normal Tension Treble Set with a fluorocarbon 3rd G and 2nd B.
HBN trebles contain both a fluorocarbon 3rd G and 2nd B with a monofilament clear nylon high E. Some players feel a standard nylon G and B sound "tubby", swapping out nylon for carbon generates a brighter and more focused sound. What a fantastic treble set it is! Just hate any plasticky sounds. This treble set is absolute stunner. I i I use EJ45EXP, EJ45LP, or Savarez Cantiga Bass set with this hybrid treble set. It is my favorite set now.